Reflexology, Reiki, Aromatherapy - Relax, Renew, Refresh! I absolutely love what I do. I’m amazed by the feet, the body’s energy, the benefits of essential oils and the beautiful journey they take me on when I’m with my clients. My own journey with Reiki and Aromatherapy started when I was in the eye of my own personal storm. I was a corporate executive, running my own business (on the side), board member of a growing non-profit and struggling to be a present mother and wife. I was burning out and being pulled in all directions. I just couldn’t say “no”. It seemed like everything around me was calling out for my time and energy, yet I only had so much to give! Before I knew it, I was spiraling into a state of depression. It was a time for a change! I started my own journey of self-discovery, meeting with a Life Coach who challenged me to delve deep into my soul and unleash my infinite potential, what then further fueled my drive for both inner and outer transformation. My coach asked me to do something completely outside of my box. I looked at a few options and was drawn to try Reiki. Within 20 minutes of my Level I class, I knew that I was where I was supposed to be. Reiki helped me to relax, open my mind and to just be in the present. By learning how to open up and develop a better sense of my chakras, I was able to release negative energy that just was not serving any purpose. The renewed energy gave me motivation to set a new course for my life. I do now and always will practice Reiki every day. Reiki personally worked for me and I want to share that with others! During my Reiki training, I became interested in Aromatherapy. I was fascinated with understanding the chemical makeup of the essential oils and how various components and synergies were beneficial in assisting the body toward optimal health. I became certified through Aromahead Institute and now use my knowledge to create custom blends for clients during our Reiki or Reflexology sessions or just for overall general health and wellbeing. I am one that thrives when learning and adding elements to my healing toolbox! 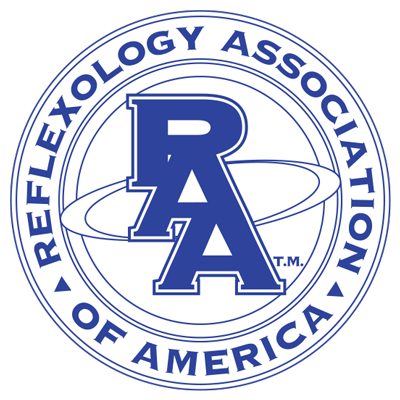 I am also a Nationally Certified Reflexologist with the American Reflexology Certification Board. Over the years, Reflexology has truly become my passion. I just love what the feet tell us and how our touch can offer many benefits to the body with pressure point therapy. Look at your feet – did you know the texture, thickness, restrictions, color and size of your feet can help guide us towards understanding your body and move us on a path of better health? Since I have started my journey on alternative healing, I have found an amazing, open and welcoming community of like-minded people. I have been accepted for who I am and want to pass that on by helping other people – just where they are. No judgement and no pre-determined destinations, just kindness and healing. I so look forward to working with you and meeting you right where you are. If you want to book a session or just have questions you want to ask, email me!